Convinces with elegant style and maximum functionality. 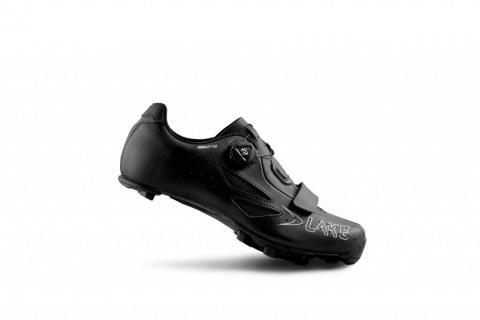 Solid and resistant MTB shoe made of Action leather and Mesh. With side mounted BOA lacing system, carbon fiber sole with Mountain Race X rubber tread for optimal power transfer. Therefore, the upper is made of Action leather and mesh. The side mounted BOA-lacing system provides fine-tunable, evenly-distributed closure for secure and comfortable fit. It can be readjusted during run and retains tension.